What is Savage XR about? Savage XR features two distinct races with different combat mechanics and different ways of victory. Join the furious Beast Horde and use your superior speed and mobility to gain map control. Engage the enemy with tree swinging Behemoths, magic weapons and fast-paced melee combat. Or join the Legion of Man with its powerful defensive structures, superior ranged weaponry, ranged siege vehicles and items allowing them to quickly travel back to their base. As the commander of your team, you will manage your economy and resources while building a secure and cost efficient base, develop units, weapons and items based on 4 different tech trees, plan your assault and direct up to 63 real human players into battle. There are two types of resources: Redstone and Gold. Redstone is available in limited amounts on the map and is required for anything built or researched by the commander. Outposts and defensive structures additionally require gold, which is infinitely available if the team fights well. Parts of the gold players earn on the battle field goes directly to the teams gold reserves, defined by the commanders tax rate. Mining, constructing and repairing can be ordered to up to 10 AI-workers that are fully controlled by the commander, as well as to real human player of the team. Once the technology tree has been sufficiently developed, the commander can give buffs to players, such as temporary speed increase, quad-damage, damage protection or health and stamina regeneration. The Beast commander can use buff mana to create a gateway for his army. As a field player, you will master a diverse range of weapons and units while engaged in a fast paced battle, where you'll earn gold by killing enemies or attacking enemy structure. In your teams headquarter or in outposts you have the option to purchase a different unit and equip ranged weapons and up to three items of your choice. What weapons and units are available is determined by the commander's development of the technology tree and by the players gold (although players can request items from the commander if they don't have enough gold). As a player you can be ordered to attack enemies, mine resources, or construct buildings, although there is no penalty for ignoring orders. Some players can be promoted as Officers by their commander, which allows them to issue similar orders to other players on the team. Officers also grant a passive healing bonus to team-mates around them. The most overlooked aspect of Savage XR is its one-of-a-kind combat system, rewarding genuine player skill. Melee fights take place in third-person perspective. To the basic melee attack, each race has one special ability: Humans block, Beasts leap. Humans can counter leaps with blocks, Beasts can avoid blocks with leaps. This asymmetrically balanced combat, combined with unrestricted mouse control makes for an adrenaline packed sport in its own right. Ask a veteran player what he likes the most about Savage XR. Usually the answer will be "The melee combat!". But how can something that never received special mention by the original developers nor by the critics yet still be so awesome? The answer is simple: only few realized its potential. 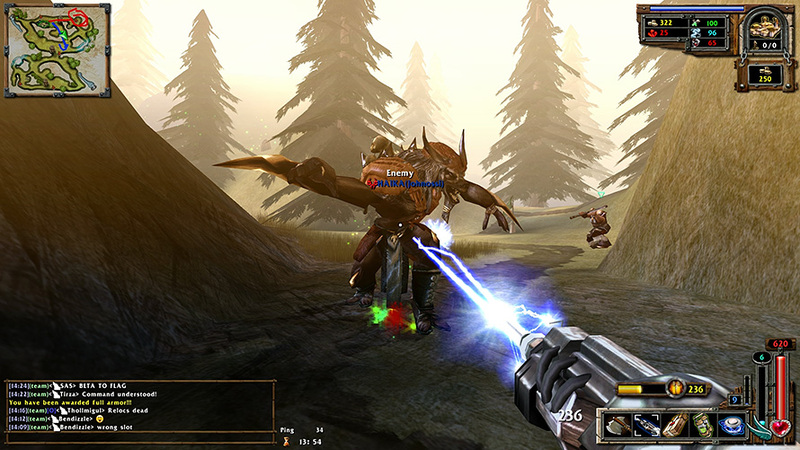 It took the community several years to develop the combat style being used today. 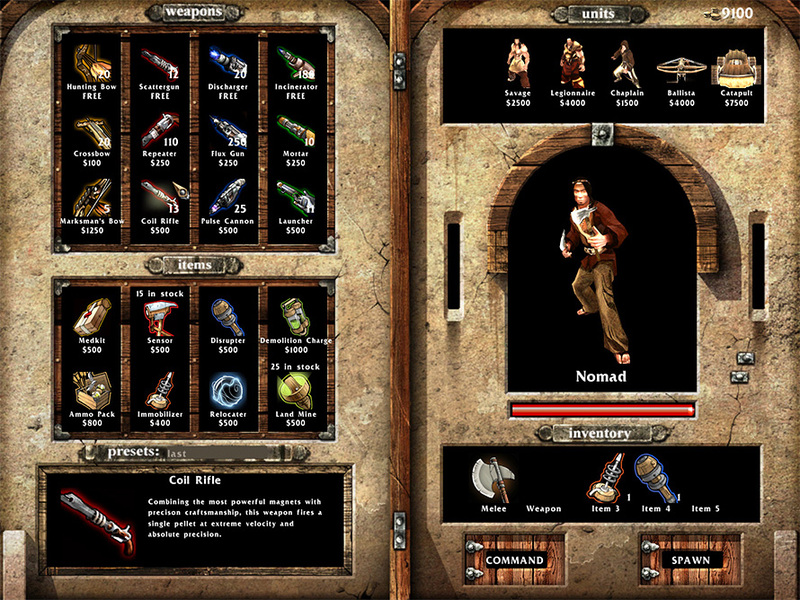 Eventually a duel mod was added in 2006, 3 years after the release. You can practice your melee skills on a live duel server or offline under Tutorial -> Duel Practice against AI bots. Commander/Officer orders are shown with a beacon on the battle field: travel, attack, guard, follow, repair, build. Minimap drawings can be done by the commander in different colors. Field players will see them in real-time. Squads are lead by officers and highlighted on the minimap. The squad HUD displays the full status of its members. Commander Missions can be assigned to squads and will be displayed in the players squad panel. Voice Chat: big selection of voice commands (V) for almost every situation when communication has to go quick. Voice over IP (VOIP): Use your microphone to speak to everyone, your team or your squad. Savage has an intense competitive history going over 14 years, pioneered by Team Affliction, a legendary squad of Quake/UT pros dominating the early Savage days. Highlights were the tournament series of Savage All Stars, SGL (Savage Gaming League), EUL (European League), NWGL 1-4 (Newerth Wargrounds League), SWC 2006/2012 (Savage World Cup), PUG Cup 2010/11/16, NSL 1-7 (2008-2016) and dozens of Duel Cups. Join a team or create your own clan with friends! All clans participating in Competitions hosted by our community recieve individually designed skins/weapon models (which have no influence on the gameplay) crafted by our lead artist "Daemon" as well as officer flags with their clan banner. Competition winners get special prizes. These customizations are attached to all clan members accounts and are visible for everyone in-game. Clan panels in-game make it easy to join clans, create banners, manage applications or keep track of upcoming matches. Detailed statistics, awards and rankings are also available in-game. Buddy system, clan shoutbox and mailbox help to communicate with your friends. In 2003 Savage was released with 18 official maps. 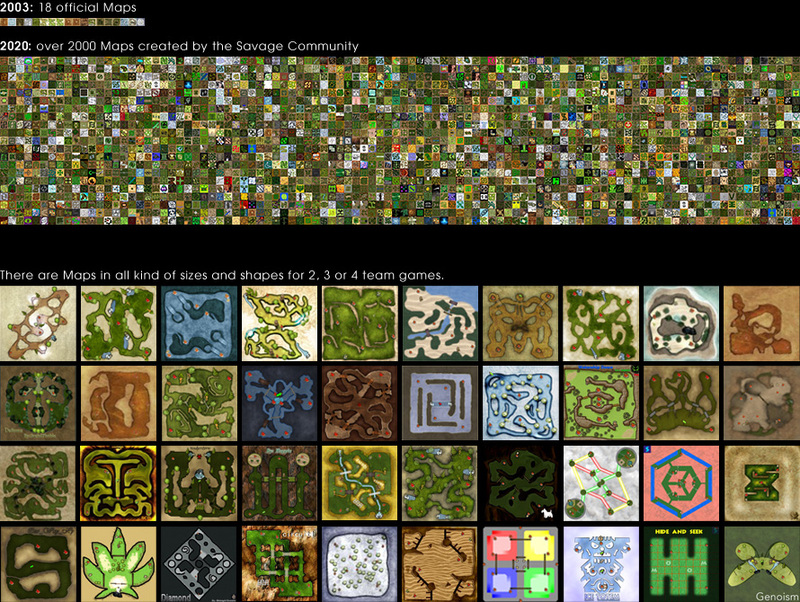 During the past 13 years map makers of the Savage Community have created over 2000 maps of which most are available in the Newerth Map Section. New maps are being approved and released every week, so Savage XR looks and plays never the same. As soon as a map is getting bug fixed or improved, servers and clients will automatically update to the newest version. Various Game Modes and Full Conversions Savage XR offers more than just the standard Real-Time Strategy Shooter mode (RTSS). The following modes are included into Savage XR. Many others aren't listed here as they are embedded directly into the mapfiles. Duel: Challenge an opponent to a 1 on 1 melee duel (ranged weapons optionally). Or fight everyone (FFA). Samurai Wars: RTSS full conversion mode playing in feudal Japan with Samurais, Horses and Cannons. Extreme Savage: RTSS mode based on standard Savage with 2 additional combat units and tier 4 weapons. Savage Evolution: RTSS mode based on standard Savage with altered balance and new siege units. Death Match: Fight for weapons, units and items. The one with the most frags wins the arena. Instagib: Leaping nomads with instakill melee and Coil Rifle. Destroy the enemy Stronghold to win. Frenzy: Fight for redstone, get new tech unlocked based on redstone gathered. Team with 2000 redstone wins. CTF: Capture and hold all flags on a map for 2 minutes total to win the game. Football: 2 Beast teams chasing a ball. Each team has a Behemoth goalkeeper. Race: Racing mod with catapult vehicles. Savage XR was made by the community for the community.